Hi, I’m Jess Thompson, Client Project Manager for MK Gallery’s Capital Expansion project. Welcome to our new Blog, where every couple of weeks (and more frequently as the project gathers pace) I’ll bring you news, views and interesting snippets about the development of the gallery. So whether your interest is personal or professional, do please visit for updates whenever you can. 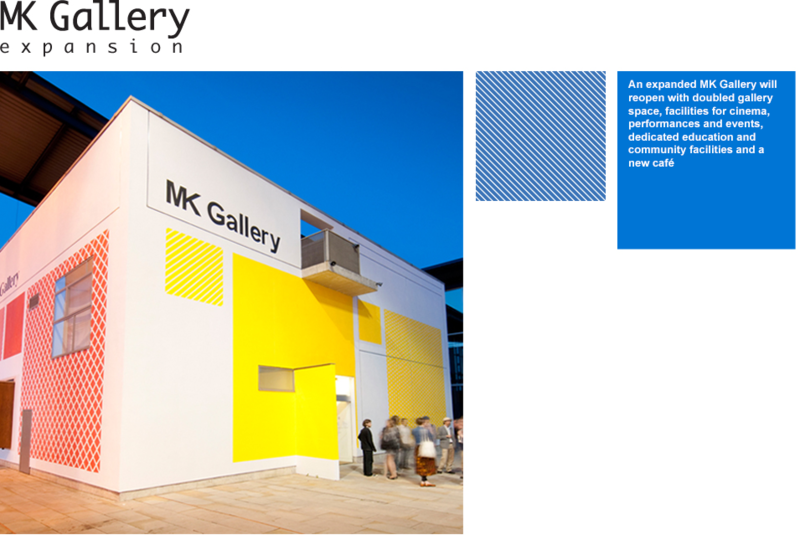 I joined the staff team in June 2013, and as Project Lead I have a varied role that includes procuring and managing the design and construction team and ensuring that the project meets the needs of MK Gallery, as the client. We are currently in what is known as the Design Phase. Our appointed Design team comprises 6a architects, engineers Max Fordham and Momentum, and Gleeds Health & Safety Limited, our quantity surveyors and H&S advisors. We meet twice a month to progress design options for the site. These meetings are updated and informed by specialist investigations of the current building and its surrounding site, consultations with staff, funders and a wide range of potential users of the new building. We are working towards achieving RIBA Stage D and submission of our planning application this summer. The outcome of the planning application is expected by autumn this year, and all being well we envisage starting construction in summer 2015 and opening the new, expanded gallery in spring/summer 2017, to coincide with Milton Keynes’ 50th anniversary year. Last week architect Tom Emerson from 6a, and Gallery Director Anthony Spira, presented an update on the Project plans so far, to a mixed audience of stakeholders and interested parties. Public feedback included the comment that the design approach was “stimulating and inspiring”, and that the architect’s “sensibility and appreciation of what makes MK so special” worked particularly well. This is enormously pleasing to hear, as we are determined to deliver a project of international standing, with a sensitivity to place, that Milton Keynes can be proud of. Looking ahead, everyone is invited to view the proposed designs for the new gallery in our Project Space this April, and there will be opportunities to meet staff and members of the 6a architects and offer your feedback. More on this in my next post!